Vocal Strengths: Predominately breathy, warm and light voice with a soft and airy quality to it that extends throughout. The voice can also be more solid, and rounded in tone- though could never be described as weighty. When this fuller tone is used in the fifth octave it can produce a light, operatic like colour to it. As stated the voice harmonizes brilliantly and layers well to produce unisons that retain lightness, warmth and the voice's intrinsic ethereal character. Vocal Weaknesses: Her voice, due to its airy quality, can be seen as as having a weak tone. 1 Octave, 4 tones and a half. She's a mezzo-soprano, with a slight alto range. "Evening Falls" is also a gorgeous song. Vocally, she kind of reminds me of Sinead O'Connor a bit, albeit with a lot more production on her voice. She's carved a long career from her Celtic schtick. I also read once that she never really listens to pop music whatsoever - which would explain a lot in terms of her songwriting and sticking to her preferred style. Thought her vocal range was at least a G6. Huge fan of hers. Thanks for posting this. "When this fuller tone is used in the fifth octave it can produce a light, operatic like colour to it." Just wondering, is there a specific example of this? Like a note or lyric where this is exemplified? Whoops, forgot...is this 'fuller tone' describe her mixed voice or her mid range? Or a specific note she hits in a song? I'm not too clear really on this description. Thank you again. I absolutely love listening to this woman sing. Her voice always sounds so mystical. It feels like Lord of the rings all over again. Lol. Can you post other sound examples, DD? More so in her head voice. She can use it to produce a thicker, operatic tone- which is of a medium weight- or it can be a thinner and airy sound, almost like a falsetto. In the song, "Trains and Winter Rains", you can tell she does hit some of the almost-alto ranges. What would you describe her vocal range after listening to the song, DD? Is Enya really a lyric mezzo-soprano or no? Her vocal range changes a little in almost all her songs. She even hit some of the "coloratura" alto-ish ranges. (Not exact "contralto", but you know what I meant, lol). I would say she sounds light, refreshing and at times rather fragile, she does have the characteristics of a lyric mezzo, but I think she might have a wider range, will try to hunt out some evidence! Either way a beauty of a voice! Love 'Only Time' thats one of my favs! You? My favs are, "Trains and Winter Rains", "Long Long Journey", "May it be" (makes me cry at times), "The First of Autumn", "Boadicea", "Pilgrim", "Wild Child", "Only Time", "Deora Ar Mo Chroí" (also makes me cry) and MANY more. Does any of those songs makes you tear up just a little? Omg, my grammar and spelling is horrible, lol. But yeah, I've noticed with Enya's music, its really chill and relaxing. And with Lisa Gerrard's, its dark and soothing. I type WAY too fast, so that's probablly why, lol. 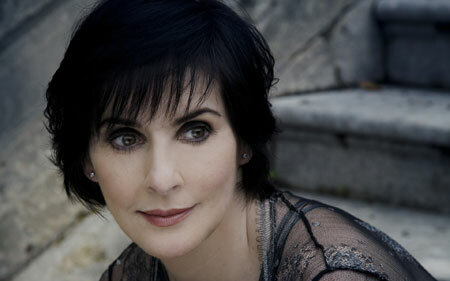 And @DD, do you think Enya is a Lyric Mezzo-soprano? Stuey, what do you think, hun? I would most definately agree, her voice is extremely light, I think thats why she does a lot of layering (which she does extremely well). At the same time though I think she has that rounded and full sound that a lyric would have! I can even sing the song with no problems, and my vocal range is Low dramatic mezzo-soprano/Coloratura contralto. Sorry for the late reply. In fact, I do have some song sample ideas. Can you please add, "May It Be", "Only If", "Only Time" and "Long Long Journey"? Did Enya perform on the Gladiator soundtrack? Or was it someone else? I did think that when I added the suggested videos, but I'm going to check now since another person has had the same thought. ....you got to be kidding right? I don't know why people think Enya sang on the Gladiator soundtrack, which she DIDN'T. (Sorry, it annoys me). Stuey! We need you hon! Lol. I thought she was a dramatic mezzo-soprano or at least a light alto.